For this issue we’ve dug through our Epoxyworks archive to put together a selection of all building articles. There are two reasons for doing this. For the last couple of months, we have been redesigning the PRO-SET Epoxy product line. This has taken an incredible amount of work by most everyone at Gougeon Brothers. especially those who write and produce Epoxyworks. In addition, since the beginning of the year, the chemists, lab technicians, and technical staff, who are the main writers of our articles, have been moving into their brand new quarters. 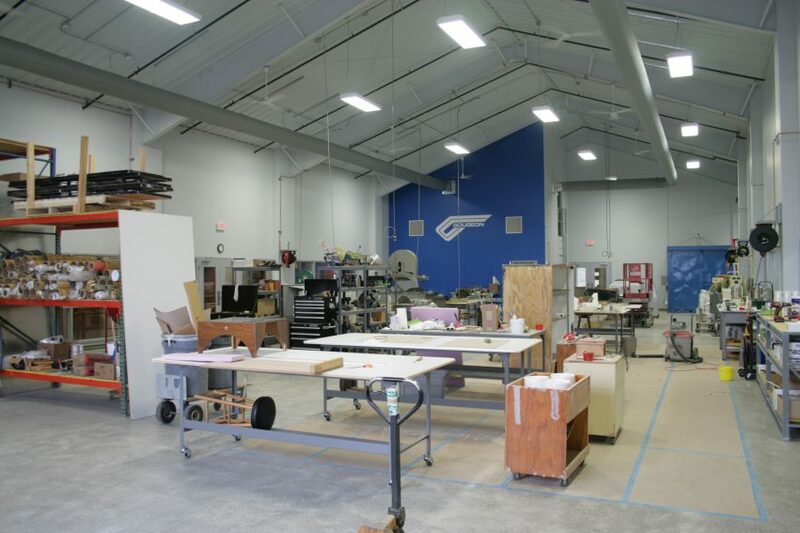 Check out our new Technical Department workshop. The culture of Gougeon Brothers is building. 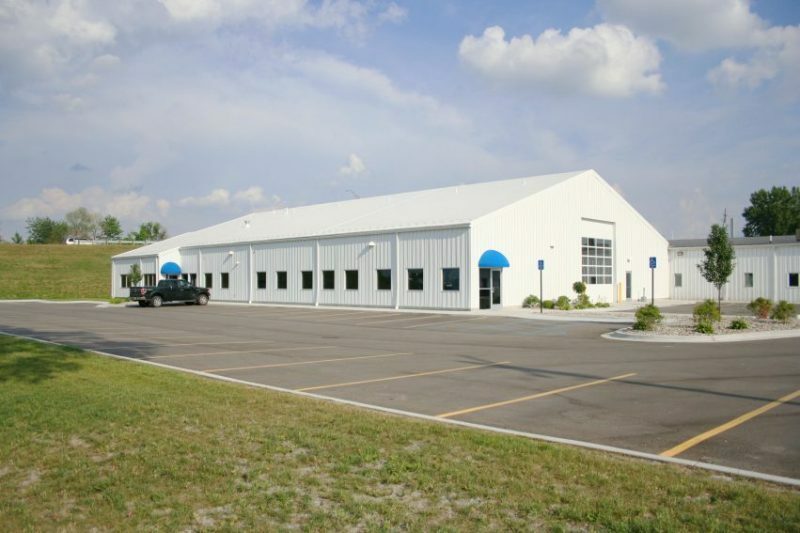 This new addition, this test lab, every product we sell is geared toward the building of things. It is a company founded by builders. One of our founders, Jan C. Gougeon, passed away December 18, 2012, at the age of 67. 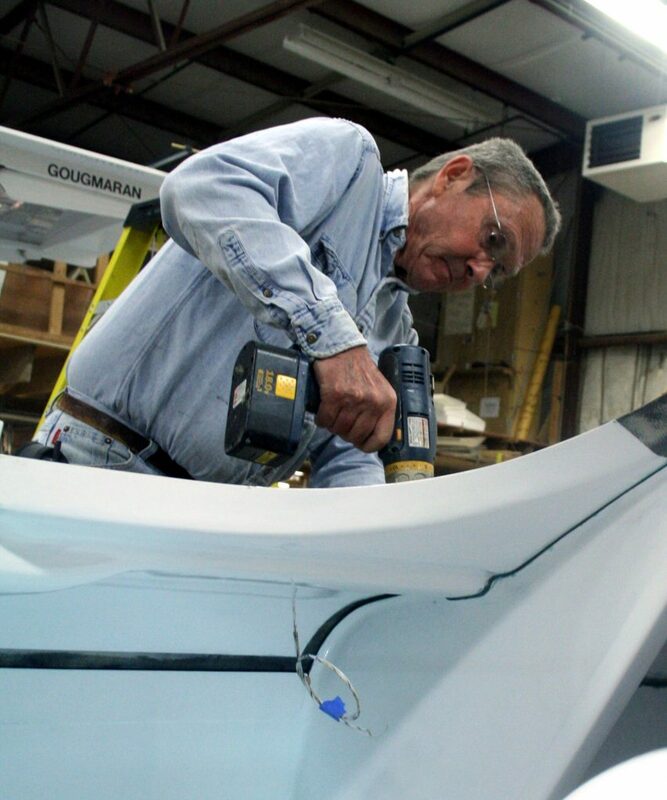 Jan Gougeon going to town on one of his many creative projects in the GBI boat shop. Few loved building things more than Jan Gougeon. Innovative boats and creative solutions flowed from him without the limitations of computers or drafting boards We’ll miss finding Jan in the boat shop dreaming up ingenious ways to go faster, building fantastic things—and always taking the time to share his love of building. This entry was posted in Architecture on July 1, 2015 by Grace Ombry.